Now offering male body and male Brazilian wax by a male skin therapist. Welcome! Conjure Skin Therapies is now offering full male body waxing in San Diego. Please note - all waxing services, including male Brazilian wax are performed by a male skin therapist. Most male clients have a hard time finding a male Brazilian wax because most wax professionals are typically female and do not perform intimate wax on men. We have a skilled male skin therapist that can deliver a professional waxing service to men or women, anywhere on the body. From a chest or back wax, to the booty, bat and balls, we have you covered. We are quickly becoming the #1 skincare spa for men in San Diego and we are closing in quick on that title for women too! Every client is treated with respect and outstanding service. When you are here, you are #1. If you feel hesitant or afraid to get waxed in such a private area of the body, don't be! We wont make you feel weird or awkward here. We can chat about whatever you want to keep your mind off of what is happening, but don't worry, it is a professional, clean experience. To learn more about Male Brazilians or why you should get one, click here. *These prices are typical/standard but may go down if you have less hair in certain areas of your body. We use the #1 best wax (Cirepil), imported from France. 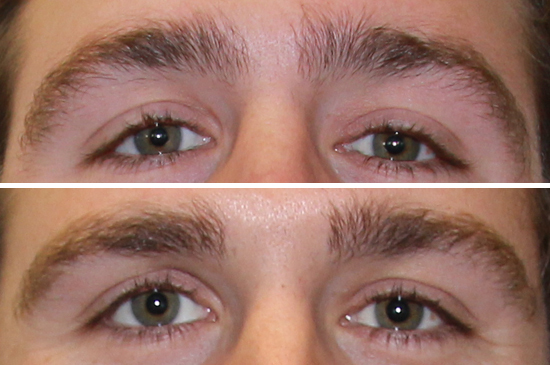 All San Diego male body waxing services are by appointment only. (totally smooth, front to back - unless you specify an area to keep like the upper pubic area. Otherwise, the pubic area, shaft, balls, taint, inner cheeks, the hole, and outer cheeks are a gonna be as smooth as the day you were born. Price is the same even if you decide to keep upper pubic area or some other specific area.